Joanne Davies was Second in Charge of Learning Area of English and HaSS, intermittently Acting Head of Department at Clarkson Community High School in 2018. She started her journey at Clarkson as a student in 2002 and graduated in 2007. She wrote this article for Education Today magazine, which was published February 2019. 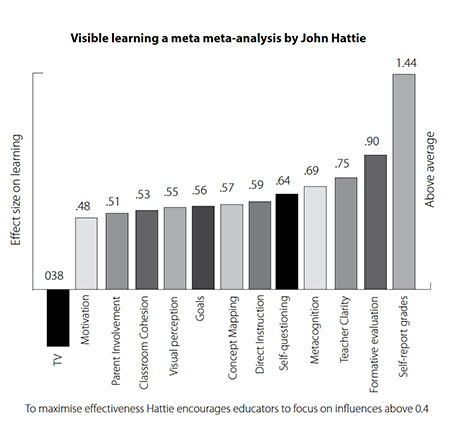 Hattie is renowned for his philosophy on ‘Visible Teaching and Learning’. He states that ‘accomplishing the maximum impact on student learning depends on teams of teachers working together, with excellent leaders or coaches, agreeing on worth-while outcomes, setting high expectations, knowing the students’ starting and desired success in learning, seeking evidence continually about their impact on all students, modifying their teaching in light of this evaluation, and joining in the success of truly making a difference to student out-comes.’ (Hattie, 2012). The Visible Teaching and Learning theory is grounded upon an analysis of hundreds of meta-analyses determining the effect size of numerous influences on student achievement. Hattie, in collaboration with Klauz Zierer, defined and articulated 10 approaches to thinking that educators can adopt to maximise student outcomes (Hattie & Zierer, 2018). John Young, Principal of Clarkson Community High School, has seen the difference visible learning makes. At Clarkson the faculty and staff are continuously propounding the question, how can we accelerate student learning? Our response to this query… an amalgamation of our research, shared beliefs, teaching and learning pedagogies and the use of data to inform instruction at a whole-school level, and at a classroom level. Young explains that “it is our belief that implementing Invitational Learning theory throughout every facet of our school has provided us with the best framework for success in re-culturing, re-structuring and re-timing of Clarkson Community High School” (2016). 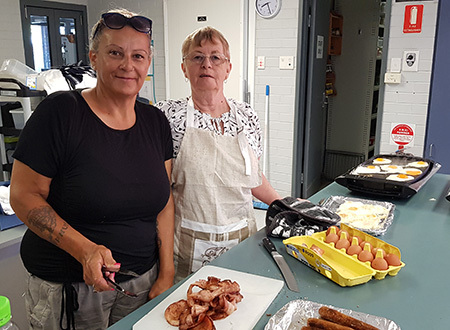 Clarkson Breakfast Club Is Back! 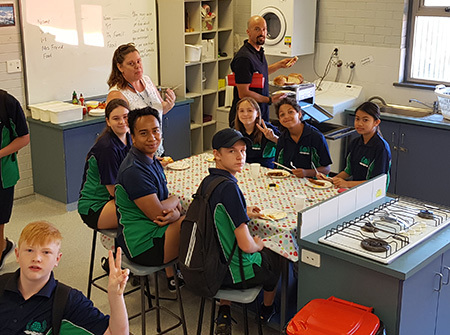 All students are welcome to attend in the Home Ec room every Friday from 8am. Set yourselves up for the day with a full breakfast including sausage, bacon, eggs, beans, mushrooms, tomato, beans, toast and fruit juices. Huge thanks to Wendy Hillier, Vanessa Taylor and Jo Mills for putting on an awesome spread today! Geraint Davies is an experienced school leader who has taught and led staff in country WA and metropolitan Perth schools since 2002. Geraint taught in Albany, Fremantle and Kalamunda before joining the Clarkson team in 2005. 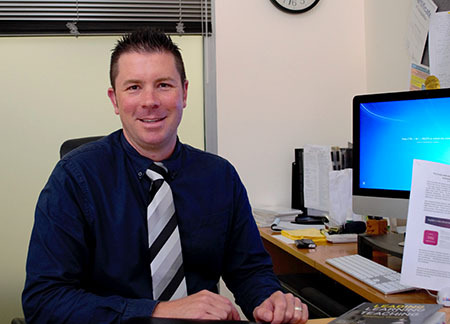 After four years at Clarkson in the mid-2000s, Geraint left education in 2008 and worked as an Intelligence Analyst for the Federal Attorney General and later WA Police in the Internal Affairs Unit. Geraint returned to education in 2010 joining the team at Clarkson as head of Middle School and later HOLA of Applied Science and Mathematics. 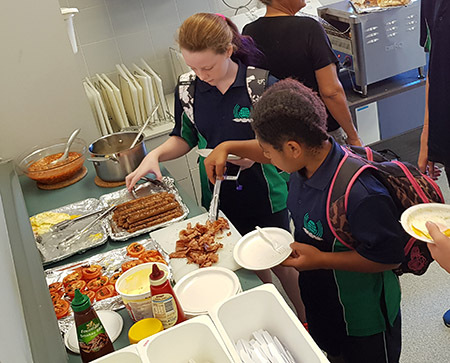 In 2017 Geraint joined Churchlands SHS as Head of Student Services for Year 9 and then in 2018 Head of Middle School at Belridge Secondary College. Geraint returns to Clarkson in 2019 with a greater breadth and depth of experience having worked at Churchlands and Belridge High Schools.